Are There Vampires Lurking Around You? Could Your Friends Or Neighbors Be One Of These Parasitic Creatures? These creatures of the night, in order to sustain their life and vitality, are purported to feast on human blood. 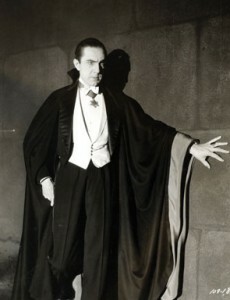 Vampires, as seen in the moves, may only be a fictitious character. There are however, real life living breathing individuals who are described as vampires. You may have already encountered one. These leechlike creatures are energy vampires. Energy vampires intentionally, or more often unintentionally, feed off the life force energy of unsuspecting individuals instead of consuming their blood. They create a parasitic relationship between themselves and others. As living beings, we are each filled with universal life force energy. It is known as chi, prana and orgone to name a few of the words that describe this invisible force. Universal life force energy animates and sustains us. We are able to create and maintain this unseen aspect of ourselves when we are healthy. Some energy vampires are unable to sustain their chi at healthy levels. Their ability to produce this vitalizing energy is depressed or not functioning correctly. They look towards other to support their depleted energy resources thus boosting their own. This may have occurred because they were violated or traumatized making it difficult for them to connect with this part of their being. They may discover at an early age how to siphon their shortage of energy off others. Energy vampires can also learn these negative traits if they grow up in an environment where their parents steal energy from them or others. These same children may also learn to become a good host. They are taught growing up how to remain quiet and passive during an energy feeding. An energy vampire does not have long pointed teeth or wear a black cape. Most energy vampires are undetectable upon first glance. They appear as well meaning normal people. It is only when you spend a little time with an energy vampire that their true colors may be revealed. The goal of an energy vampire is to control your space. They use a variety of ways to manipulate you that fall into two major categories – extroverted and introverted. The extroverted energy vampire will seem highly attractive. You might find yourself mysteriously fascinated by them. They may have a strong opinion about themselves, their ideas and beliefs. In a more negative light, their self-serving outgoing nature may cause them to be stubborn, opinionated or angry. Whatever form they take, then endeavor to control your energy in an external outgoing way. Extroverted energy vampires are sometimes hard to detect. Introverted energy vampires, on the other hand, take on a very different form. They are also more easily spotted. They may complain incessantly about their problems giving you little if any opportunity to respond or interact. They may throw pity parties or have a “poor me” attitude towards life – the consummate victim. An individual who’s life force energy is being drained by an energy vampire will often feel tired, bored, lack motivation, become irritated, overwhelmed, disoriented, depressed or feel out of sorts even after a brief encounter. Hosts tend to be suggestible, have weak boundaries and are often afraid or unwilling to say “NO”. Many times, they are people pleasers who do not like to let other down. Energy vampires steal vitality from their victims by upsetting their auric field. They knock their hosts out of their bodies, leaving them in a dissociative state. The vampire achieves this through one of his or her well-practiced introverted or extroverted manipulation tactics. We are in a dissociative state when we are not in the present moment. Our mind wanders and we become unaware of what is going on around us. In essence, “we space out” thus leaving the door open for the energy vampire to invade. Being the victim of an energy vampire is not all one sided. The host can get something in return that keeps him or her giving their energy away. The interactions they have might leave them feeling loved, needed, valued or in some cases safe. Some even find their exchanges with an energy vampire satisfying or believe that they are fulfilling their life purpose. Remember, many energy vampire hosts have been trained from an early age to provide their life force energy to others. The first step in stopping the victimization of energy vampirism is to wake up to what is going on. Are you consistently experiencing one of the symptoms listed earlier when you are around certain individuals? You might be acting as a host to one of these parasitic creatures if you are. Once you identify the threat, steps can be taken to lessen the hold they have on you. As you may recall, energy vampires prey on individuals with weak boundaries and fragile auric fields. Through their control tactics, they interfere with the flow of your life force energy causing you to disassociate from your body. Taking steps to protect your aura and your energy space will increase your boundaries and make it harder for them to feed. If you come to realize that you have been a host to energy vampires your whole life, take the time to look at yourself and your life frankly. Work to resolve old wounds. Uncover why you keep giving your energy away and identify any secondary benefit you might be gaining from these negative interactions. They say that knowledge is power and with any kind of personal transformation recognizing we have a problem is 50% of the solution. Our lives are all about choices and sometimes the choices we have to make can be hard. In the case of dealing with an energy vampire at times the only choice we are left with is to walk away. We are honoring our energy, our autonomy and ourselves when we end a relationship with an energy vampire. This is the only way to stop the ongoing attacks with some individuals. Intentional or not, energy vampires, unlike their movie counterparts are real. Their need to feed off your life force energy is real as well. Their negative behavior compromises you each time it occurs. Their tactics for knocking you out of your body and putting you into a disassociate state robs you of your choices and interfere with your ability to live a happy self-directed life. © Copyright Rita Louise, Inc. – www.soulhealer.com 2014. All rights reserved. Tagged attached entity, energetic protection, energy medicine, energy vampire, ghost, healing, health, life force energy, parasitic relationship, vampire, vitality.